Save money & fight food waste! Do you have a packed pantry, fridge, and freezer--but still spend a lot of money at the grocery store each week? Let's save money, use what we have, and get organized in the new year! Are you in? Grab your spot below! When you sign up, you'll also be added to our email lists. 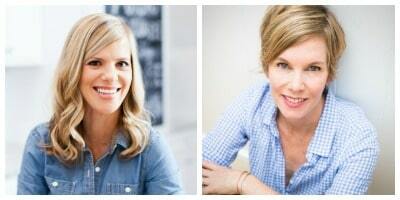 We're both registered dietitians, authors, and moms. Sally blogs at Real Mom Nutrition, a “no-judgments zone” about feeding a family. Katie blogs at Mom's Kitchen Handbook, which brings ease to your everyday table. an affiliate advertising program designed to provide a means for me to earn fees by linking to Amazon.com and affiliated sites.